Patron Deities- Are We Talking About the Same Thing? It’s common in Pagan communities to hear people talk about their patron or matron deities. Within Neo-Paganism this could have a couple of origins- patron saints- who are regarded as in being guardians of a particular profession, family, area of life (ex: a type of illness) place, or specific person. Another origin may be the Holy Guardian Angel, who is called upon in Thelema and some types of ceremonial magic(k) more generally. 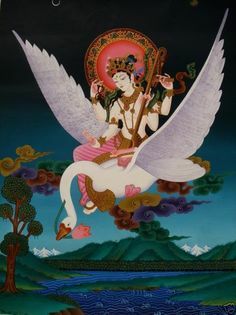 The concept of a personal guardian spirit that watches over someone all their lives is found in many cultures, but I feel that is a different, though related topic to that of patron deities. Posted on June 24, 2015 July 7, 2015 by Redfaery	This entry was posted in Resources and tagged polytheism. Bookmark the permalink.